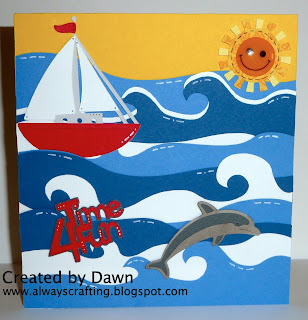 At Paper Playtime there is always a fun challenge going on whether you're a die-hard Cricut user, Stamper, Digi Queen, Scrapbooker, Cardmaker, and everything else in-between! 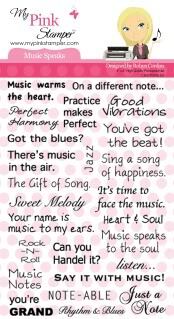 This challenge is "Projects with Water"
Our sponsor this week is MY PINK STAMPER with her stamp set "MUSIC SPEAKS". I haven't used my cricut to make a card in a while and this challenge was perfect for getting my machine out, dusting it off and creating something fun with it! I also pulled out my silhouette too! Pull out your machines that you haven't used in a while. I bet you can get inspired to create something fun too! There are so many great Cricut cartridges out there so go for it! You have until August 13th at noon EST to get your project in!